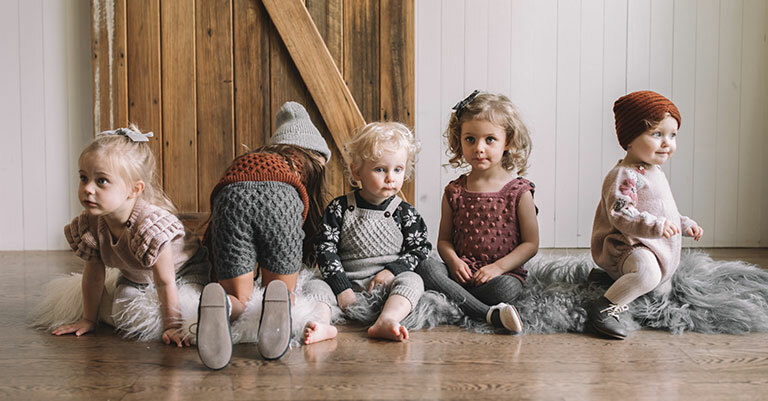 All of Shirley Bredal’s collections are made by hand and full of her one true passion - knitwear. Since every piece that bears the name “Shirley Bredal” is hand-knitted, minor irregularities in the stitch structure may occur. We are of the opinion, however, that it is exactly these little irregularities, that breathe life into the collections and give them their own special charm. Shirley Bredal’s style could be described as traditionally Scandinavian with a hint of vintage. The collections are made from exclusively natural materials such as wool, cotton, cashmere, bamboo or silk and the colours used in dyeing the yarn are AZO-free. Shirley Bredal is against the use of synthetic fibres or dyes full of harmful chemicals. Every single step of production is being controlled meticulously in order to guarantee the highest quality of the clothing.